Seems nice. Looks a bit like old Saubers. Made me think of 2010 sauber meets 2010 virgin. Not bad. Just need Lotus to announce a yellow livery now! I'm not a big fan, too much like a Midland/HRT etc... I think Haas missed a massive chance to have a distinctive livery and considering there isn't hardly any sponsors on it they could have done what they wanted. Quick question - have I missed it, or is there no Ferrari logo on that? Did Manor carry one last year? ...Possibly not actually. Ignore me! I don't think any customer teams ever carried Ferrari logos. I can see some similarities with the Ferrari. Sidepod intakes are identical. Sidepod winglets the same too. The rear end maybe looks a bit like the SF15T. The nose looks like a hybrid one between the SF15T and the SF16H ones. Was hoping to see a bright yellow livery, but it isn't the worst! 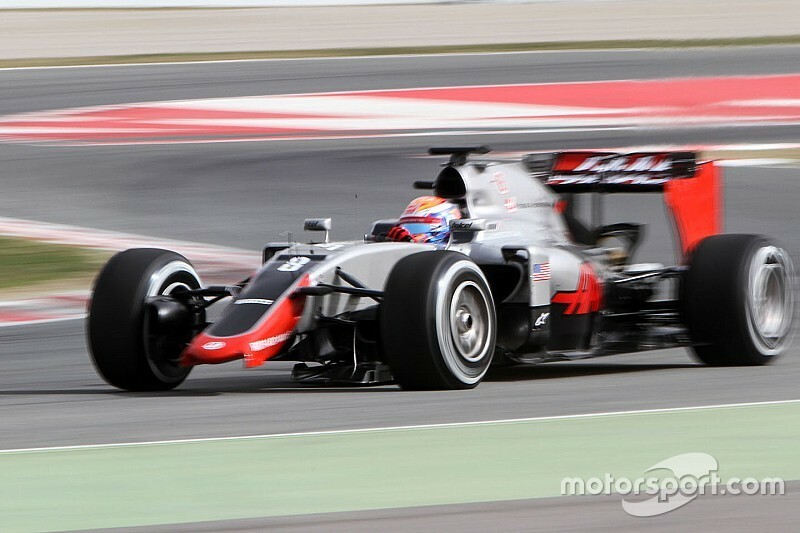 I like the red and white, but there's way too much black in F1 now. That sweet front end makes up for the livery and more though! Just happy to see something a little different. Not feeling the livery personally. Another mostly black/grey car with splashes of a bright colour. I had such high hopes when they hinted at having a bright and colourful yellow livery. simple and nice, I like it.... but it does look rather too old fashion, doesn't it? I think it looks rather nice, really. It does have some notable similarities to the Ferrari, but it also has some definite differences. They did do what they wanted; the livery is very much in line with all the other marketing of Haas Automation, including their NASCAR livery and indeed the color scheme of their website. Haas colors are always black, silver (or white) and red, so I would have been very much surprised if it had been anything else. They're here to promote their brand overseas, not just make a pretty car. The hypothetical yellow car - even if Renault doesn't eventually go yellow, which would make it confusing - wouldn't have done as much to strengthen the tie between Formula One and Haas. Does not look like a backmarker to me. Tink it will be faster than the Renault and of course the Manor at least. That front wing is very advanced and high budget. I'm pretty impressed actually. The livery is not bad but it does not scream OMG it's hot! Richard Mille is with McLaren even. Would have been nice to see some US brands for a change. Gene Haas is pretty much 100% financing the team himself, he doesn't really need sponsors. WHAT A NAME FOR THEIR 1ST CAR. VF = "VERY FIRST". Dont Mind Me...But Looks Like A Toy...Non-Serious Livery unlike Renaults or Ferrari's!! Short nose not too disimilar to the rest. The end plates on the front wing look very chunky and there are a lot of vertical plates. Any aero minded people care to shed light on what so much vertical stuff achieves there? Last edited by Alex53 on Tue Feb 23, 2016 7:43 am, edited 1 time in total. Well it looks ok. I wonder why they opted for black and not blue, I mean that way they would have had all colours of the USA flag. Short nose not too disimilar to the rest. The end plates on the front wing look very chunky and there are a lot of vertical plates. Any arero minded people care to shed light on what so much vertical stuff achieves there? Vertical components accomplish 2 things. First, channel air to specific areas around the car and second, to aide the car in maintaining its line. The most exaggerated vertical bodywork element outside the side panels of the front and rear wings was the shark fin all the cars eventually dawned. That large vertical fin is an air dam that applies lateral force to help keep the rear end from stepping out. LMP cars now feature this as standard pretty much and it's now trickling down in the RC car racing as well, for both Off-Road and On-Road LMP pan cars. 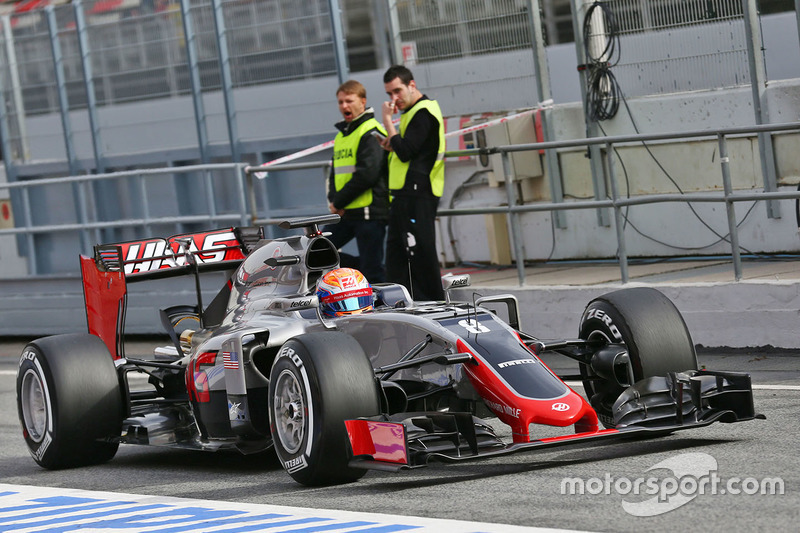 The colors HAAS went with are pretty much his corporate branding colors. The HAAS logo itself isn't very pretty to my eyes. Quite period desk and dated/clumsy in design. Logo's are being changed in industry to the point that they mean nothing - just like the nothing of the organizations that are changing them. I'm a professional graphic designer for almost 25 years and there is a right way to evolve logos/brands without changing their essence air branding and if and when executed properly, the changes will hardly register until you go back several versions in the evolution. Vertical strakes on the front wing are doing two things, one is directing the airflow around the front tyre to reduce the turbulence and low pressure zone behind it decreasing drag. The second thing is that each tip will generate a vortex which will cut in behind the tyres near the sidepod turning vane and kind of cancel out the turbulence and direct clean air towards the rear of the car. Essentially doing the same job as the cascades on other cars but produce less drag themselves at the expense of some effectiveness. Still I think a touch of blue would have been nice, that little American flag doesn't count. 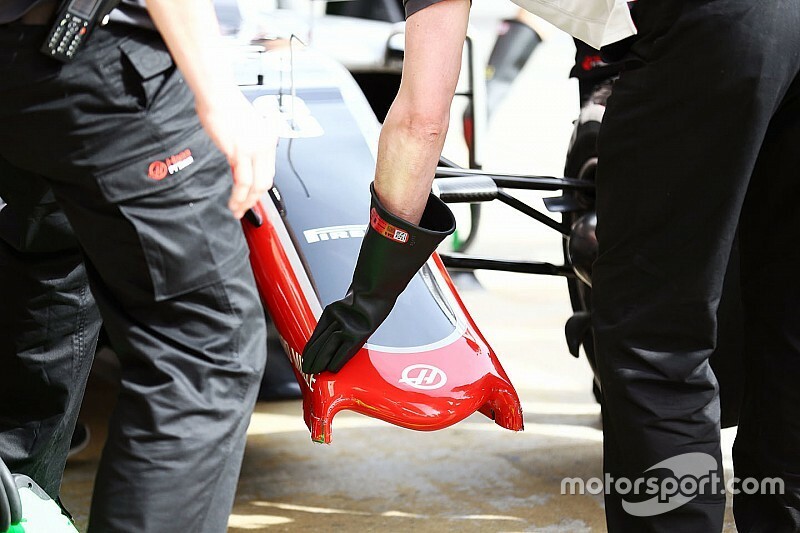 So HAAS apparently had a wing failure yesterday. Looks like a clean disconnection between the upper & lower element. Should be a fairly straight forward fix for this. But holy hell, the HAAS is the most gorgeous F1 car of 2016 hands down!!! Now let's see if good ole Dallara break away from heir tradition of building a pretty F1 chassis that doesn't perform as well as it looks. That's it! I'm adding a signature after 4 years on this forum. And I'll change mine to, 'Proud member of the 'It's mds, not MDS' group'.